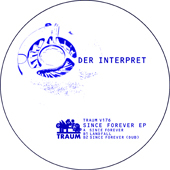 Der Interpret is a collaboration of Arne Schaffhausen from Extrawelt and his long time friend Marcus C. Maichel with whom he (and also Wayan Raabe) collaborated in early days under the moniker of The Delta. The trax have been recorded in the Extrawelt studio and feature 3 tracks. As Arne Schaffhausen said, Marcus was a mentor to him in the beginning and it was really nice to team up with him again after so long for this special 3 track vinyl. The opening track "Since Forever" brings ideas of early techno and rave, so to speak big bold chords reminiscent of Inner City "Good Life" or any other good R&S act of that time, together with tiny climbing tones that install that certain kind of hypnotic and analog trippyness that melts on top of their beats like snow. A nostalgic moment turns up for sure when the track plunges into the break and gives full attention to the chord melody and so it is a flashback to a great period of time full of euphoria the two have shared here with "Since Forever". The b1 track on the vinyl EP is "Landfall". "Landfall" is a sensual paraglider of a post Detroit track. Carried by a cautiously raised and lowered synth tone sequence it acts as if a step beyond could cause enormous damage. The track then aviates through a cool beat programming which is quite Extrawelt-nesque, keeping that balance nice grooves can achieve... hangs in the air in a good way... only to be interrupted by a loud Detroit - electro synth stab that cuts the track in two parts. All that just lasts for a bit longer than a second, the chord is then sucked into the arrangement to a degree where you could say it is almost absorbed… as if it was the most natural thing to be. The "Since Forever Dub" is a phantasmic remix as it really shows that a mix can create something totally new. So that might be the mix for all of you who cannot relate so much to the old school idea of techno and instead seek a more atmospheric soothing dubbed out version. Feel at home with this version as we think it could easily have gone on forever. Rewind! We are already curious to listen to their next EP! 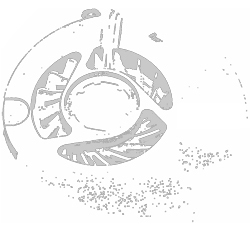 The remix which comes digitally is from Nick Dow who is a core artist now on Traum with his second EP released in May. He has remixed "Since Forever" in the fashion that he has kept the quietness and repetition of elements of the original and has added elements very carefully and gentle so to not twist things here too much but work rather from the inside out. He has inserting some of his "Dow progression" which is always magic for us. Resulting in a very smooth and cool hypnotic remix! Listen to Nick version!